Award season is officially in full swing. Sunday’s edition of the Golden Globes was the 74th edition and as expected, it was a night full of glitz and glamor. Hollywood’s finest gathered to celebrate the past year’s best in film and movies. While the ladies looked beautiful, the awards well-deserved, and the speeches were captivating, what caught our attention was the slew of men’s luxury watches on the red carpet. From Cartier to Tiffany & Co. to OMEGA to Rolex, the top watch brands were in full attendance at the Globes. Here’s a look at some of our favorites. Jimmy Fallon’s Tiffany & Co. The master of ceremonies for the evening was comedian and host of The Tonight Show, Jimmy Fallon. For his first time hosting the Globes, he opted to wear a Tiffany & Co.’s Tiffany CT60 40mm in 18k rose gold. Actor Jeremy Renner also sported a Tiffany & Co. watch on his wrist, but his was the Tiffany CT60 dual time 40mm model in stainless steel. British actor, Eddie Redmayne, presented an award at the Golden Globes along with Jessica Chastain. As a brand ambassador of OMEGA, it comes as no surprise that wore one of the brand’s timepieces for the night. His OMEGA of choice for the event? The OMEGA Speedmaster Moonwatch Professional Chronograph of course. Winner of the Best Supporting Actor category for his role in Nocturnal Animals, Aaron Taylor-Johnson had the Cartier Ballon Bleu de Cartier on his wrist during the ceremonies. His model was the 42mm stainless steel model with a black dial and matching black leather strap. Another celeb who had his Cartier on for the night was Justin Timberlake. His version, however, was the Cartier Tank MC, also with a black dial and black leather strap. We saved the best for last because of course, no roundup of luxury watches would be complete without a Rolex! Leading man and winner of the Best Actor in a Musical or Comedy at the Globes for his role in La La Land, Ryan Gosling accessorized his black and white tux with a vintage Rolex. A vintage Rolex Air-King 5500 Precision to be exact. An offbeat choice, given the timepiece’s small 34mm size, yet it suited his old-school glamor look perfectly. 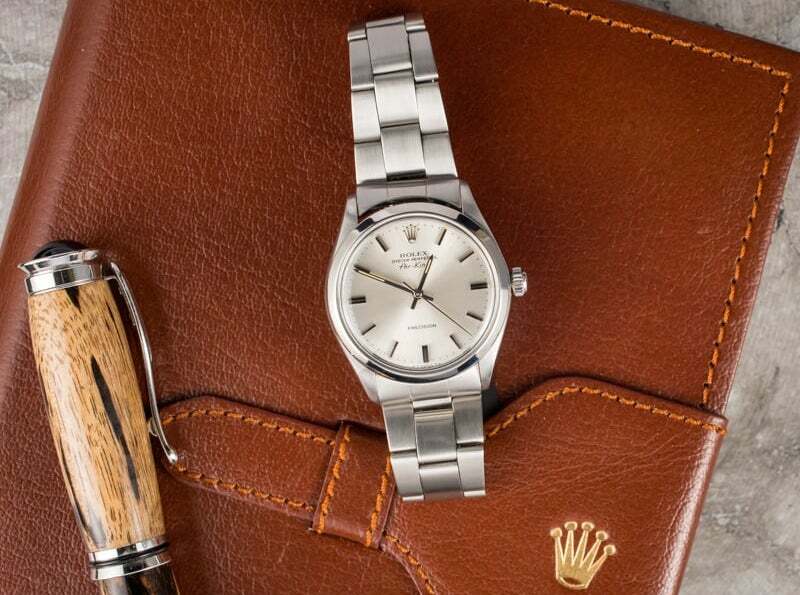 In fact, this is the same Rolex Air-King Ryan Gosling wore during his December 2016 GQ magazine spread. So it seems, it’s his go-to watch at the moment. We also have to mention another vintage Rolex watch on full display during the Golden Globes. And that was the vintage Daytona 6263 with a panda dial belonging to Ryan Seacrest, the night’s host of the E! Live at the Red Carpet. A legendary watch for a big night out with the stars. If the luxury watch looks were this good during the first award show of the year, we look forward to what we’ll be seeing at the upcoming events of the season.